Our perpetual desk calendar. 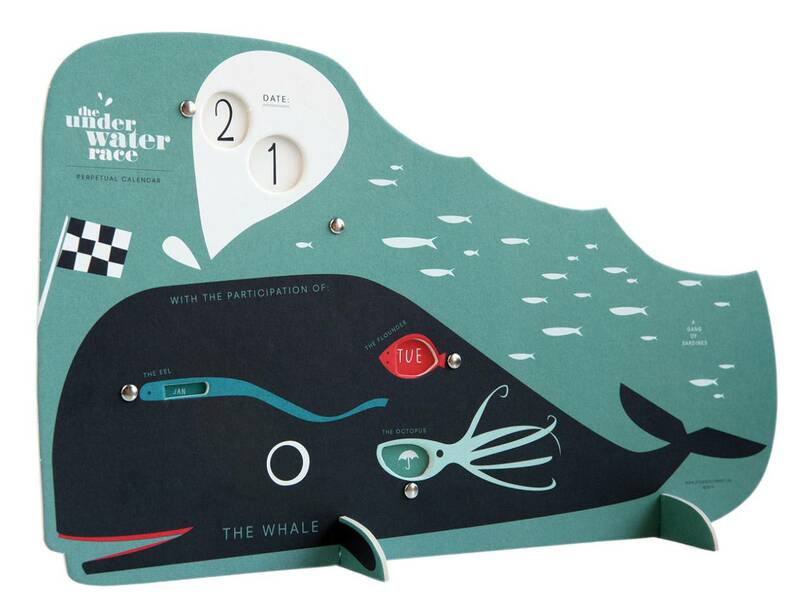 'The underwater race’ comes in a brown cardboard box and can easily be self assembled. Apart from the date, you can also adjust the local weather by the turn of a dial.